There is a lot of interesting trivia about the connection between fasting and spirituality. Some religious traditions use fasting for spiritual self-inquiry, others as an element of punishment, while others incite people to fast for the benefit of the community. In 2016, Yoshinori Ohsumi won the Nobel prize in medicine for his work on autophagy. Autophagy is natural process by which the body cleanses itself of damaged, dead and unrepaired cells. The good cells of the body create membranes that hunt down the neighboring scraps of dead, diseased, or infectious cells and gobble them up, using them to create energy or build new cells. Given that the genes for autophagy are working properly, anybody can experience the benefits by fasting. • Better performance of the immune system thanks to the recycling of the old and damaged white cells to create newer, more efficient ones . • The feeling of reinvigoration as fresh energy flows in . • Preventing cancerous growths, warding off infection and, by maintaining a healthy metabolism, providing protection against conditions like diabetes . • Reverse aging process of the body and the brain, lowering down the chances of infectious diseases, immunological diseases and neurodegenerative disorders . • Lowering the risk of cardiovascular disease, skeletal weakness, glucose intolerance and cognitive decline . • Detoxifying effects on the whole system, where the body truly frees itself from accumulated poisons throughout life . On top of the benefits of fasting discussed above, I would add another one. After taking a pause from all of the eating activities through fasting, you reboot your whole digestive system and start from a clean slate. This could be especially important for people who know they have bad eating patterns (snacking on processed and sugary foods, eating as a way to sooth one’s feelings, or eating in the middle of the night), but find it very difficult to change them. After fasting, you get to enjoy simple and healthy foods, savor the taste of each bite mindfully, chewing carefully, without needing any extras, at regularly scheduled mealtimes. Unsurprisingly, the pharmaceutical companies jumped on the research and are currently working hard to develop synthetic medications that would supposedly help the body activate autophagy. It is ironic, because the simplest and the most natural way to get the full benefits of autophagy is by fasting. So, how do you fast? There are many ways and methods, and online just with Google you can find valid information from proven sources. There are juice fasts, intermittent fasts, and water fasts. The last is the most extreme one, but also the most potent. It requires you to stop taking any foods or liquids except pure water. I want to share with you what I have learned as a result of my own 6-day water fast. As I was constrained by time because of travel plans, I didn’t manage to do a pure water fast for the whole week. 1. Prepare in advance. Do your research on the type of fasting you want to follow and then consult your doctor whether this fast is appropriate in light of your health conditions. 2. Colon cleansing. Realize that one day before and during the whole fast you have to do regular colon cleansing, which helps your body to get rid of waste and toxins during the fasting period. 3. Clean food. A few days before, stop consuming heavy and rich in fat and protein foods, sweets, and sugary drinks, do eat small portions regularly made of rice and vegetables. 4. Hydrate. 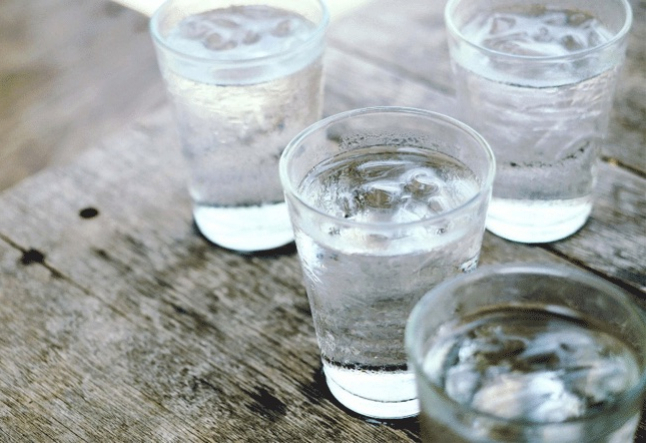 During the fast, drink as much water as possible, especially every time you feel hunger pangs and stomach churning, make sure your drink purified or mineral water. 5. Make yourself comfortable. The first few days are the most difficult. To make it easier for you, avoid cooking, dealing with food in any way, and social occasions that involve food. 6. Be gentle with yourself. Make sure you don’t exercise as it puts extra strain on the body, but you will most certainly benefit from activities such as walking in nature, a gentle yoga practice or tai chi. 7. Take it easy. Do not lift anything heavy that is more than 5 kilograms, ask for help if you need to carry something heavy such as groceries, books, or your children. 8. Treat yourself to a hot bath (especially when you’re cold), naps, resting periods with your favorite book, contemplation in nature or slow-paced walking, and massages. 9. Allow time for self-observation and self-inquiry; fasting can trigger unresolved emotional issues as well as the subconscious material to come up to the surface. 10. Do not force. If you feel that you need to stop at any given moment you might be right - listen to your body closely and use your best judgement, there’s always a next time! Coming out of the fast is as important as the fasting itself, and should be approached in a responsible manner. As there are many fasting techniques, there are also many methods of coming out of the fast, so research carefully what could work best for you and your circumstances. Remember, fasting is a very powerful technique, afterwards the body and especially the digestive system are very sensitive and vulnerable. A water fast is a real journey that needs preparation and deep desire to go through. Take your time and enjoy every part of it as a true experience of your human potential.